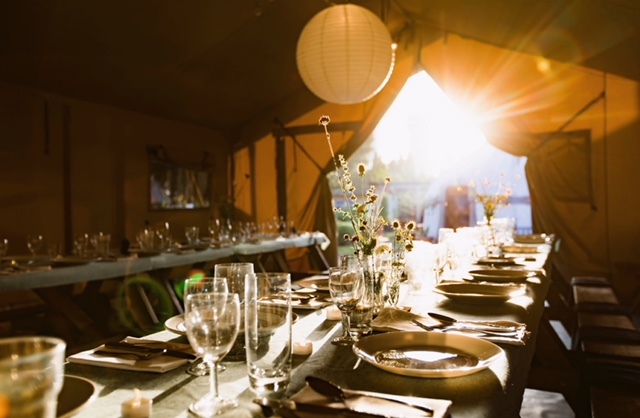 Late last summer, I began a collaborative project with photographer Jeremy Freedman, hosting monthly supper clubs at Spitalfields City Farm, celebrating different events in the calendar - Thanksgiving or the harvest moon for example. The farm is one of my favourite venues in London, a gem of green space in the middle of Spitalfields. The other amazing thing about the farm is that they allow us to use their fantastic organic produce. Last year this included delicate edible pumpkin flowers at the end of summer and colourful squashes and peppery greens as winter progressed. Menus are released in the run up to each event depending on what the farm has to offer. Last year's events were a great success, bringing a mix of people together to enjoy the farm's seasonal produce, live music and marshmallows round the bonfire under the stars. There are lots of pictures from these dinners (as well as previous menus) on instagram. For upcoming dates and tickets, please follow links below, providing a date reference for each booking. A percentage from every ticket goes to support the farm and its wonderful work in the community.